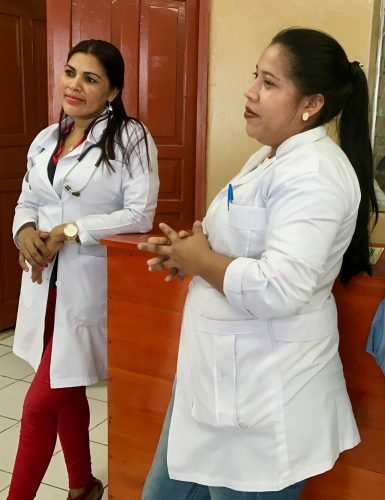 What we know about several of the doctors applying for their licenses is as follows: Doctors Ruth and Joyce are teaching at their alma mater URACCAN (University of the Autonomous Regions of the Nicaraguan Caribbean Coast). I met both of these wonderful women a while back on a visit to the hospital in Puerto Cabezas. They took time from their work to visit with us. I could see how professional they are and how respectfully they are treated by their colleagues. Dr. Joyce has been chosen to specialize in pediatrics. 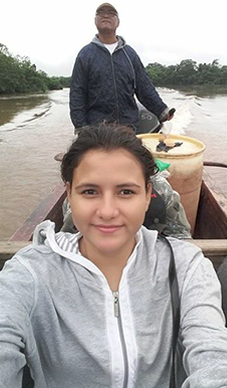 Doctor Ana C. is the River-Riding Doctor (see the Sept. 2016 blog post )and was named Director of Epidemiology in the Waspam area. That’s quite a renowned position for such a young woman, but not surprising when considering the caliber of women who are in the program. Riding upriver to remote places to minister to the health of people there is not for the faint of heart. It takes a very special person to endure the hardships such work entails. Doctor Ana R. is Director of Epidemiology (the study of diseases) in a different region of the country. She commented that even though she now has a higher position, she misses the direct contact she used to have with patients. Another Adelante Mujer doctor responded that when you are dealing with patients you are helping one at a time, but when you work in epidemiology you are contributing to the health of an entire population. 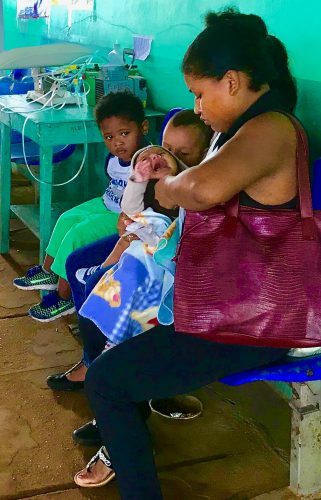 Several of the other doctors are working in the Bilwi/Puerto Cabezas hospital. Given the shortage of physicians in the whole area, these doctors are making significant contributions. They are ministering to the health of the local populations, teaching others, and becoming leaders in their professional communities. They are also setting an example for other young people, girls in particular. Currently, children legally end school at age 12 and many become mothers at young ages. When they see what’s possible, no doubt more will be inspired to seek higher education. The message for us is that your donations are making a huge difference in a severely impoverished area. Already the first recipients of Adelante Mujer funding have finished the program and are receiving their licenses. All donors can take pride in these accomplishments as you continue to sponsor upcoming classes. They know where their financial help is coming from and always tell us how grateful they are for your help. Previous Post Why Support Adelante Mujer?